Various locations – see description below for details. See description below for details. 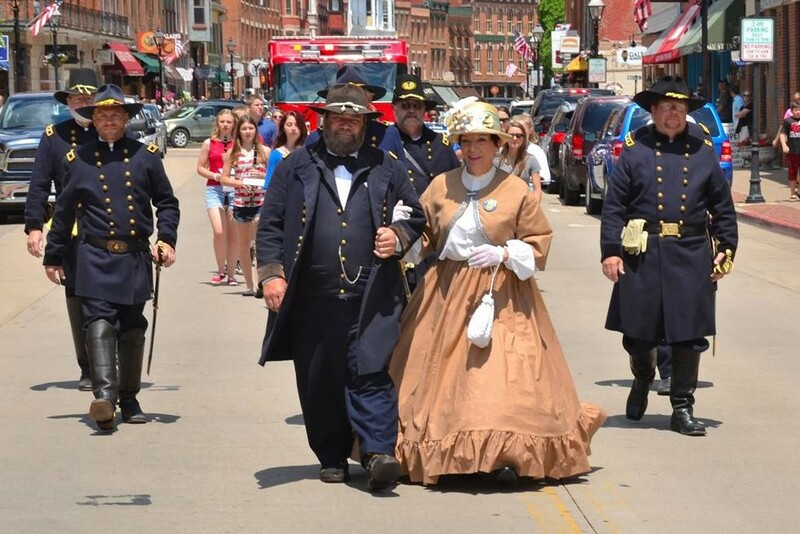 A weekend celebration of the birthday of our 18th president, Ulysses S. Grant, right here in Galena. U.S. Grant lived in Galena prior to the civil war and ran for president while living in Galena. Learn more about his life here. Free admission and refreshments at the Galena & U.S Grant Museum. 211 S. Bench St., Galena. 3rd Iowa Light Artillery Camp at Gateway to History – 403 S. Main St., Galena. Main Street Walking Tour with General Grant, meet in DeSoto House Hotel Lobby – 230 S. Main Street. $10 per person. Home Front Pie Auction at Gateway to History – 403 S. Main Street. The trial of the “Nefarious Plot to Capture General U.S. Grant”at the Galena & U.S Grant Museum. 211 S. Bench St., Galena. Women of Courage & Commitment – Galena & U.S. Grant Museum. 221 S. Bench St., Galena. Confederacy of Union Generals – Galena & U.S. Grant Museum. 221 S. Bench St., Galena. An Interview with Ulysses & Julia Grant – Galena & U.S Grant Museum. 211 S. Bench St., Galena. Abraham and Mary Todd Lincoln – – Galena & U.S Grant Museum. 211 S. Bench St., Galena.